After a five year period of peace, the next War of Plastic Instruments looms over the horizon, as Guitar Hero and Rock Band once again gear up to fight over the space in front of the TV in your living room. 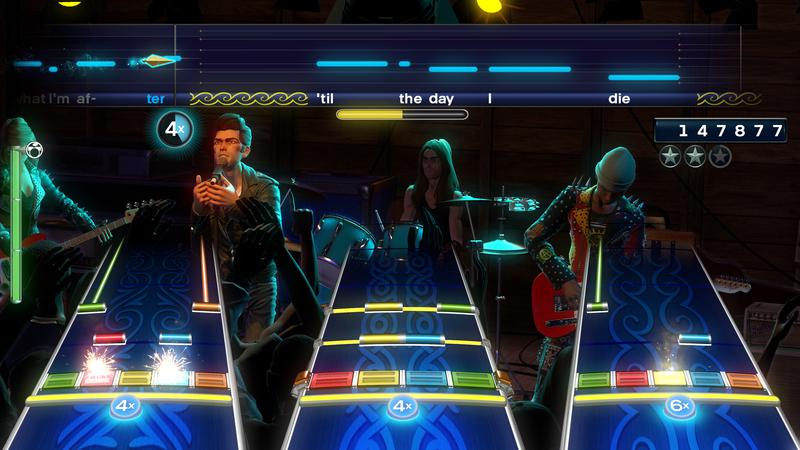 But while Guitar Hero Live looks to change things up by offering a completely redesigned guitar controller with six buttons across three frets, Rock Band 4 instead aims to keep things familiar for long time fans; with Harmonix making it a high priority to be compatible with all of your old wireless instruments and DLC. During my playtime with Rock Band 4, it truly felt like reuniting with an old friend that I hadn't seen in half a decade. I found myself feeling relieved that in all of that time, they've still remained just like I remembered. 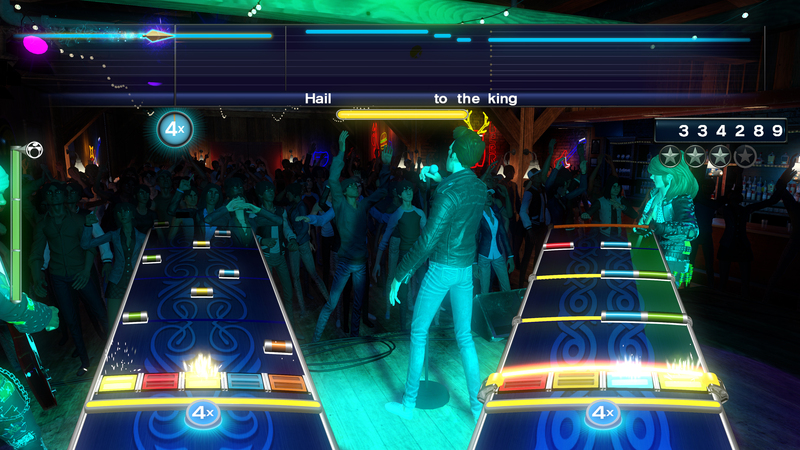 But it's that same familiarity that could end up being Rock Band 4's biggest drawback. 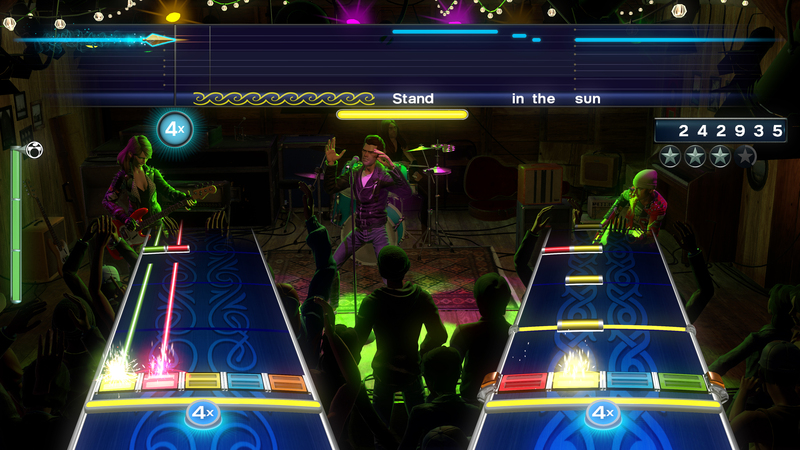 Whether or not Guitar Hero Live's gamble of opting for a completely unique guitar design pays off, you at least have to give credit to Freestyle Games and Activision for trying something substantially different in a genre that was just about driven into the ground by sequel after sequel of increasingly refined versions of the same thing. 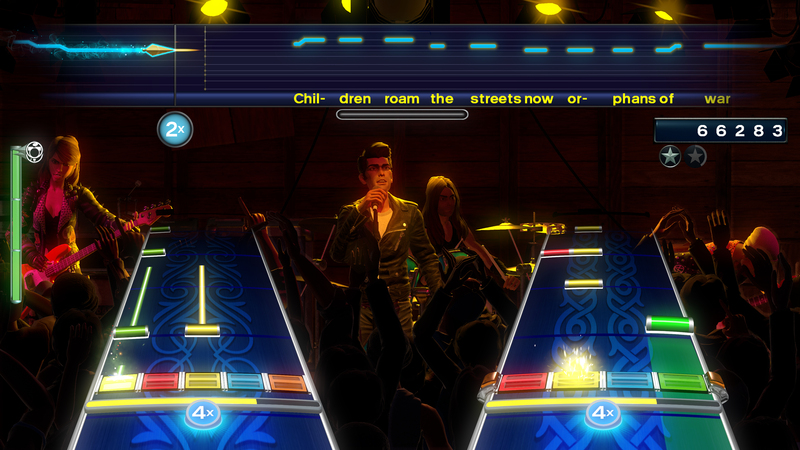 And that's what Rock Band 4 feels like: A very refined version of Rock Band, with several smart additions that not only address a few long standing issues with the game, but also make it easier than ever to keep the party going and not have to deal with the down time involved in dealing with menus. This is mostly thanks to the new "Shows" feature, which allows you and your bandmates to create set lists on the fly while playing through a song. Whenever there's a lull in the action on your instrument, a small menu will pop up that will give you four options of what type of song you want to play next. Sometimes it will give you specific songs, sometimes it'll give you a genre, and other times it'll give you a decade of music to choose from. At the end of the song, there's a brief intermission when players are able to vote on their next set of songs, with the choices being populated according to what each player voted on during the song. It's a great idea, and it succeeds not only in reducing the downtime involved with having to go back to the menu, but in making you feel like you're actually playing a show. The singer will often get prompts to pump up the crowd or introduce the next song, crowds will yell out song requests, and even chant for encores when you're done, which then you'll have the option to provide for them. Another new feature is the addition of freestyle vocals, which on paper, gives the singer some wiggle room to improvise and add a little bit of personal flair to a song, as long as they remain in key. Unfortunately, I didn't get a chance to really experiment with this feature due to the vocals not really registering very well in the demo environment. Still, it's a potentially exciting feature as many of my friends who are great singers usually feel like they have to sing very mechanically in order to score well on vocals. It should also be noted that keyboard support is out this time around. 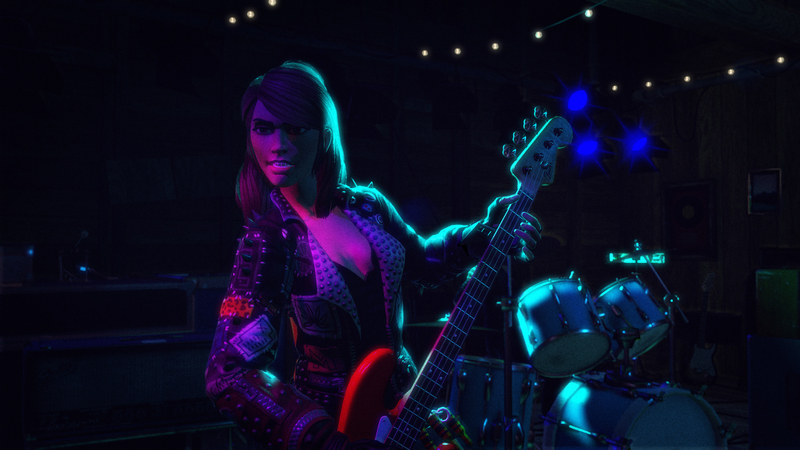 Rock Band 4 is a return to the basics, focusing instead on the core band line up of a guitarist, bassist, drummer, and singer. 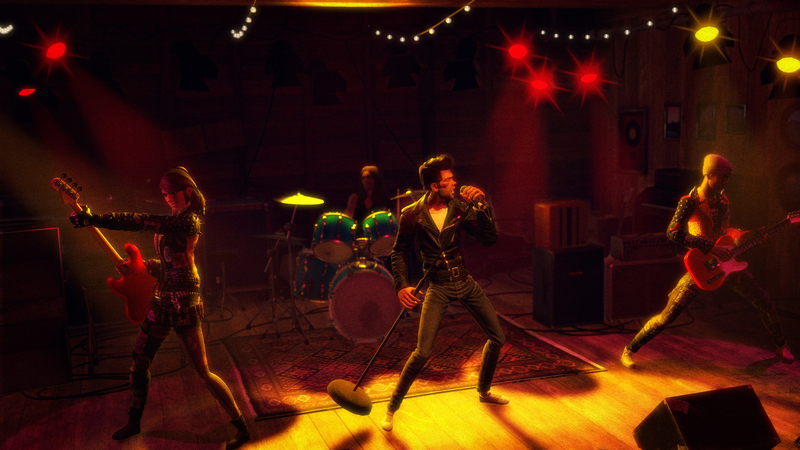 We'll have plenty more on Rock Band 4 when E3 rolls around, including some stuff that I saw at the preview event, but can't actually talk about yet. Rock Band 4 releases later this year on Xbox One and PS4, with brand new hardware in addition to its support for legacy wireless instruments. In the meantime, here is the list of currently announced songs that will be added to the list of thousands already in Rock Band's catalog.